As there is vacancy, applicants from the waiting list are contact ed for two, three, and four bedroom homes scattered throughout Aberdeen. All of the homes vary in size and amenities, but all include hook-ups in the basements for a washer and dryer. Central air and storage sheds are available. 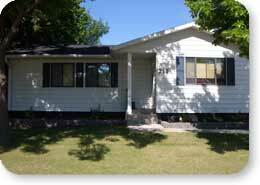 Tenant’s are responsible for lawn maintenance and snow removal. The rent is based on 30% of the tenant’s adjusted income. The tenant is responsible for paying all utilities with assistance through a utility allowance. Pets are allowed with an additional deposit. Click on the bedroom size below to see a video of that home.